Dr. Thomas Piketty, a professor at the Paris School of Economics, delves into the new gilded age where a smaller percentage of people accumulate wealth while vast majorities struggle to make ends meet. The trend is continuing as those who hold capital beyond their daily living expenses continue to become wealthier while the incomes of others have failed to rise substantially to keep pace. Under current trends the problem will become more pronounced and possibly destructive. The book discusses the history of wealth and how during World War I the top one percent owned approximately 1/5 of national wealth. That number has dramatically changed over the decades with a much higher concentration of wealth landing into fewer hands. Compounded wealth is becoming limited to fewer people highlighting income disparity. The gilded age comment shows how the capital of a society is owned by too few people and this is being passed on from generation to the next versus being earned on performance alone. This means that wealth is not actually earned and those who are influencing the economic system to the highest degrees are not necessarily the most skilled. Most theorists do believe we have problem with wealth distribution in society and the book does focus on this idea from an analytical point of view. There are many ways in which such an analysis can be conducted and academics may debate its scientific contribution to the debate. It is a large issue beyond the bounds of a single work. Scientific analysis is important but the real contribution is to open new questions, debate outcomes, or develop vantage points. How do we know if we have a problem unless someone thinks about it? 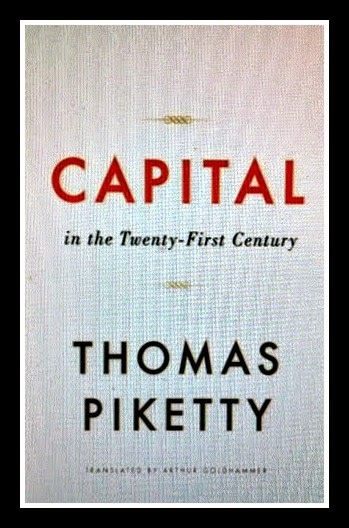 This book furthers the argument that additional effort is needed to ensure the masses have real opportunities to succeed. A society, much like a business, must have adequate rewards within the system to help ensure that members are working toward the benefits of the nation and themselves. When such incentives no longer exist and excess capital cannot be individually accumulated motivation and trust decline. This creates a difficult situation relived over and over in the small country towns and sprawling cities of the country. To add to his arguments for wealth distribution small business has the potential to raise societal innovation, collective intelligence, and wealth on a more uniform level. The political structure is still focused on encouraging large corporations but with some well thought out adjustments both the small business communities and large corporations can both benefit. New opportunities create jobs and further societal motivation to learn, adapt, and develop.